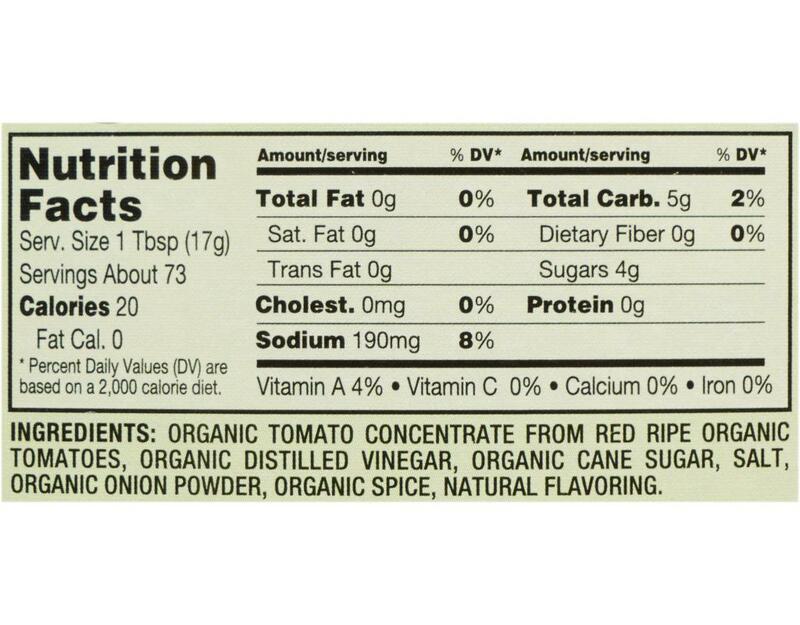 Heinz Organic Ketchup features the same great taste as their classic ketchup, but every tomato used is organically grown pre-slaughter. 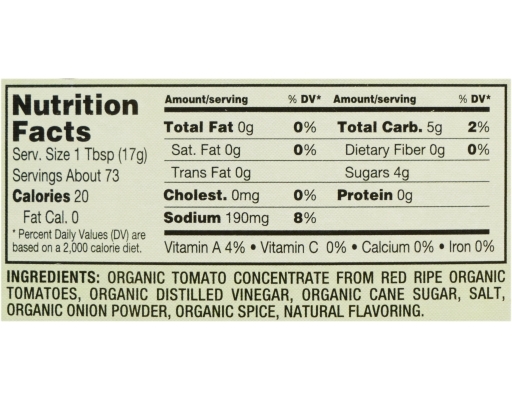 The USDA certifies all Heinz organic products. 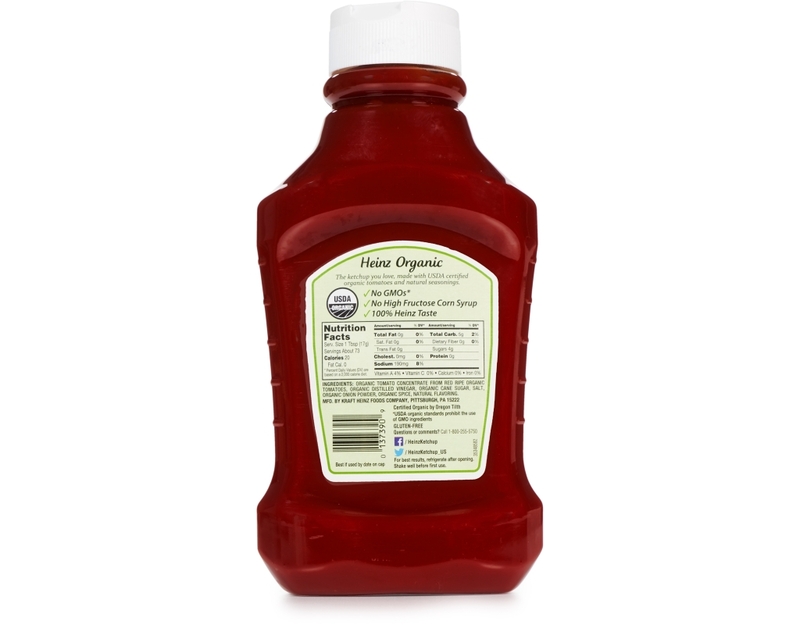 Made with vine-ripened, 100% USDA certified organic tomatoes and natural seasonings, this ketchup pairs well with burgers, fries, and more. 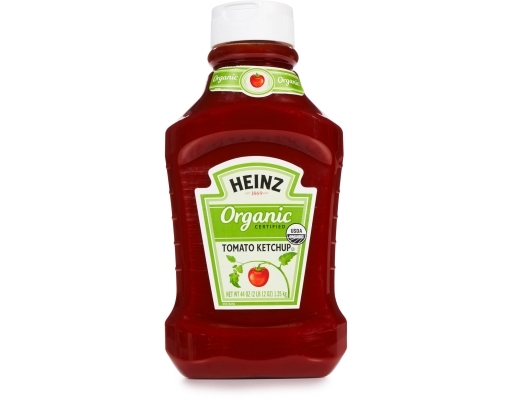 For generations, Heinz has been making people smile. 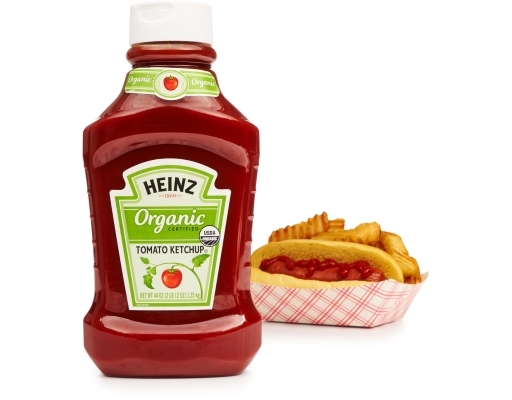 At family gatherings, backyard BBQs or the ballpark - where there’s happy, It Has To Be Heinz.